Get rid of mites in your fruit fly cultures. Use Mite be gone to do the trick. 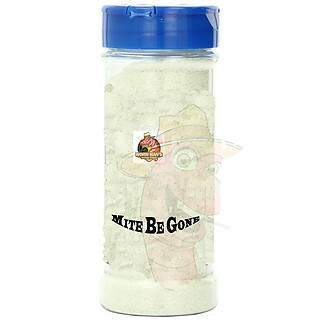 Use Mite Be Gone when you are making your cultures. Then, sprinkle a little Mite Be Gone on a tray or shelf and place your flightless Melanogastor or Hydei flightless fruitfly culture on top of it to prevent mites.